Syria’s seven years of conflict have had devastating consequences, with hundreds of thousands of people dead and more than 4 million refugees. Would the story be different if the United Nations Security Council had managed to come to an agreement and deployed a peacekeeping operation (PKO) early in the conflict? Would a PKO have been able to resolve this conflict? Despite popular conceptions to the contrary (see also here and here), a large body of research has shown that PKOs are surprisingly effective at keeping the peace. limits the risk that conflict in one country spreads to neighboring countries. In a new article in the Journal of Politics, we conducted the first comprehensive evaluation of the effectiveness of U.N. peacekeeping along all these proposed pathways. We found that past studies have significantly underestimated the positive impact of U.N. peacekeeping. The number of PKOs deployed globally remained low and stable throughout the Cold War. Over the past three decades, both the funds spent and troops sent on U.N. peacekeeping operations have increased dramatically. Traditionally, U.N. PKOs took on limited tasks, often constrained to monitoring ceasefires and peace agreements. An important shift occurred in the late 1990s when the U.N. started issuing increasingly more extensive PKO mandates. These include “Multidimensional missions,” such as the UNMIT in Timor-Leste, with activities intended to address the roots of the conflict, such as economic reconstruction and institutional transformation of police, army, and judicial systems, as well as holding elections. In the early 2000s, the U.N. also scaled up the deployment of “Enforcement missions,” exemplified by UNMIS in Sudan and the earlier UNPROFOR in Croatia and in Bosnia and Herzegovina. Our study shows that it is mainly these more ambitious PKOs with a mandate to change the situation that are “winning the war on war” — not the missions that aim merely to maintain the status quo. Existing studies tend to evaluate PKO effectiveness by looking at individual pathways separately. This approach is likely to severely underestimate the overall effectiveness of PKOs, we found. Instead, we developed a methodology that allows us to rigorously evaluate the effectiveness of PKOs along all of these pathways simultaneously. Based on a model trained on the period 1960-2013, we run a set of simulations to assess the impact of alternative U.N. peacekeeping policies for the period 2001-2013. We believe this approach allows our study to be one of the first to offer a comprehensive assessment of PKO effectiveness. 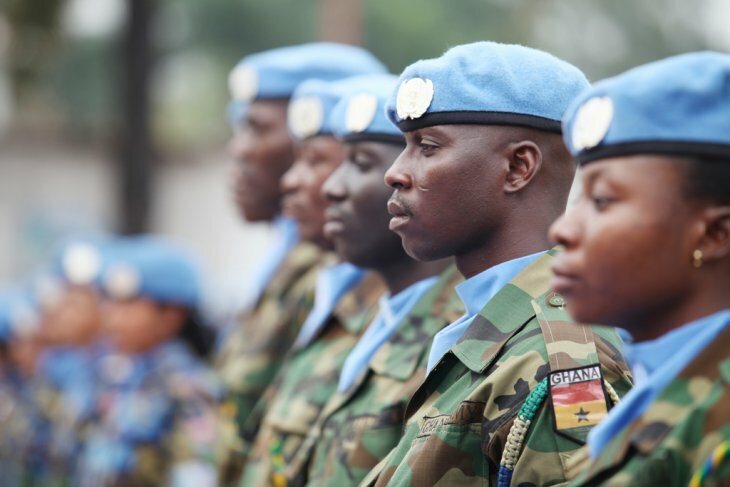 We find that peacekeeping is even more effective than previous studies suggest. In the short run, peacekeeping missions limit the amount of violence. But we also find clear evidence that the de-escalated conflicts are easier to end conclusively a few years down the road. Sierra Leone fits these patterns. The country experienced prolonged conflict until the deployment of U.N. peacekeepers, UNAMSIL, in 1999. The level of violence dropped precipitously after the deployment of the PKO and three years after the PKOs deployed the conflict ended. In a given year, our results imply that for each conflict that the U.N. manages to transform from a major conflict to a minor one, another conflict ends. In a hypothetical historical scenario where the U.N. completely shuts down its peacekeeping practice from 2001 onward, we estimate that three to four more countries would had been in major conflict in 2013 relative to what the world saw, given the actual level of peacekeeping activity. While U.N. peacekeeping policies have been effective in the period we study, the United Nations could have done much more. The more the United Nations is willing to spend on peacekeeping, and the more missions with a strong mandate, the greater the conflict-reducing effect. If the U.N. had deployed PKOs with robust mandates and budgets to most armed conflicts, our scenarios predict between four and five of the largest active wars in 2013 could have been contained. What does this mean, in hypothetical terms? This represents a 70 percent reduction from the six major 2013 conflicts in Afghanistan, D. R. Congo, Iraq, Nigeria, Syria and Pakistan to hypothetically only two or three. This ambitious but effective scenario wouldn’t be exorbitantly expensive — according to our simulations, it would require maintaining an annual $17 billion U.N. peacekeeping, approximately twice the current level. This is substantial, but given the cost of armed conflicts that can easily reach in the tens of billions of dollars each, it is clearly a cost-effective intervention. When politicians criticize U.N. peacekeeping for being expensive, they rarely consider the costs of war avoided through effective peacekeeping. A typical major conflict causes about 2,500 direct battle-related deaths per year. Over the 2001 to 2013 period, ambitious PKO deployment could, according to our estimates, have saved about 150,000 direct deaths. Massive indirect deaths due to conflict violence would also have been averted. Of course, the countries that contribute to U.N. peacekeeping with troops or funds are not necessarily those who reap the direct benefits. The costs of war, however, are not born solely by the countries in conflict, as there is potential for contagion of the conflict itself. Both the negative impact of conflict as well as the potential contagion of the conflict reach well beyond the initial region. Here’s an example — “Africa’s Missing Billions,” an Oxfam report, estimated that between 1990 and 2005 Africa as a whole lost over $280 billion to conflict. These costs are relevant for the U.N. Security Council to consider when deciding on future peacekeeping operations. What’s next for the U.N.? The new peacebuilding agenda, spearheaded by the Secretary General Antònio Guterres, puts the focus squarely on managing the outbreak, escalation, continuation and recurrence of conflict. U.N. peacekeepers can play an essential, and cost effective, part in achieving these goals — but only if they are adequately funded. Håvard Hegre is Dag Hammarskjöld Professor of Peace and Conflict Research at Uppsala University and research professor at the Peace Research Institute Oslo (PRIO). Lisa Hultman is senior lecturer in the Department of Peace and Conflict Research at Uppsala University. Håvard Mokleiv Nygård is Research Director at the Peace Research Institute Oslo (PRIO).